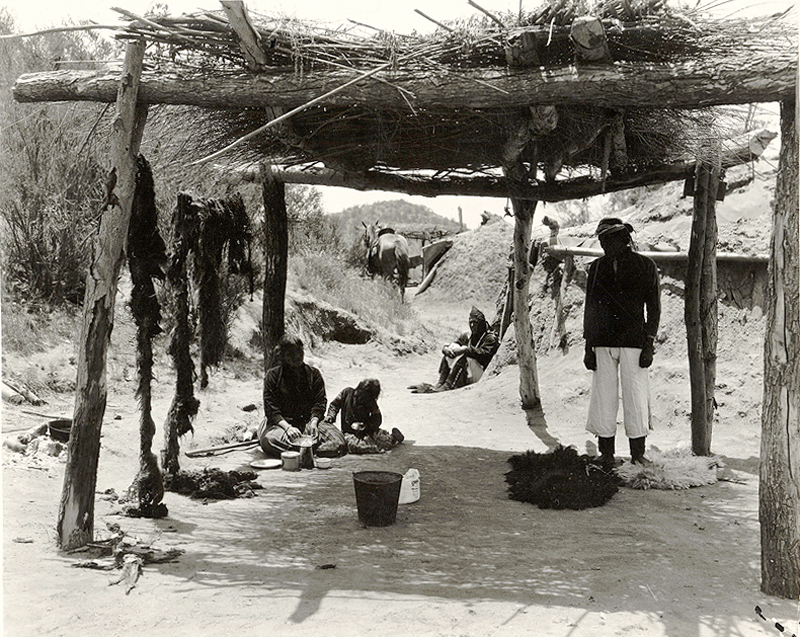 Navajo Indians living and working on the Harry Carey Ranch in Saugus in the 1920s put on demonstrations for tourists under a shelter made of hewn eucalyptus(?) trees in the San Francisquito creekbed near Carey's Ranch Store & Trading Post, just west of San Francisquito Canyon Road. DC2503: 9600 dpi jpeg from original print courtesy of Harry Carey Jr.